Today was my eighth official Father’s Day. Before my son, Mikey, was born I never completely appreciated this annual celebration. But, now, it’s one of my favorite days of the year. I’ve come to realize, though, that this day is kinda backwards. I feel like I should be honoring my son instead. If it weren’t for this amazing little boy I’d never know the absolute joy of being a dad. Now, I was an uncle to three beautiful nieces before Mikey was born. I love them all and they had me wrapped around their little fingers. It goes without saying that I was always a little envious of their fathers. After Mikey came along I realized that you love your nieces and nephews, but loving your child is to a completely different level. It wasn’t until having a child of my own that I truly understood the pleasures and pains, ups and downs, and unconditional love required of a parent. 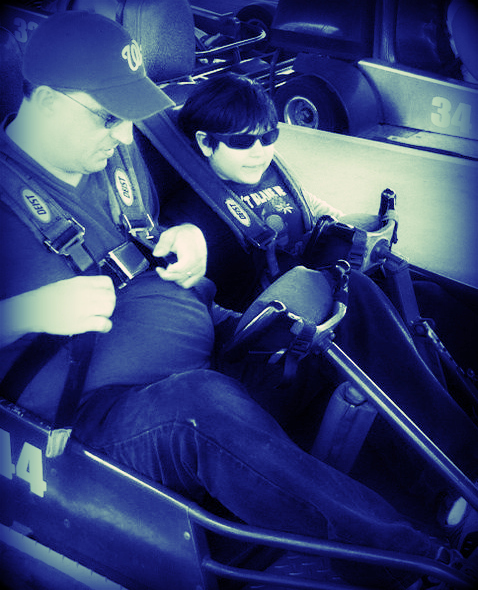 Mikey offered some challenges as a newborn and then, of course, there was the autism diagnosis...all requiring me to dig down deep for strengths I never knew I had. There is no doubt in my mind that Mikey has made me a better man. The biggest changes Mikey made necessary for me were patience level and being unselfish. Those traits come in handy on a day-to-day basis and I consider them my duties as a good father. I know Mikey knows that I love him. But I don’t think he knows, or will ever know, just how much I’m in love with him. He has no idea that I often sneak looks at him from across the room as he dances by himself with the complete freedom and joyfulness that only a child possesses. He doesn’t know that I stare at him sometimes when he’s sleeping and smile at his cute little nose and his rosebud lips that he stole from his mother. Those are the innocent, meaningful moments that erase any stress or frustration that may come from raising an energetic, stubborn little boy.